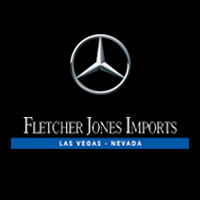 Fletcher Jones Imports Las Vegas is excited to offer this 2019 Mercedes-Benz A-Class. This Mercedes-Benz includes: BLACK HEADLINER SIRIUSXM RADIO HD Radio Satellite Radio BLIND SPOT ASSIST Blind Spot Monitor HEATED FRONT SEATS Heated Front Seat(s) 64-COLOR INTERIOR AMBIENT LIGHTING MOE TIRES (EXTENDED MOBILITY) SHORT & BLACK WHEEL LOCKING BOLTS (PIO) Wheel Locks WHEELS: 18 5-SPOKE W/BLACK ACCENTS Chrome Wheels Tires - Front Performance Aluminum Wheels Steel Wheels Tires - Rear Performance INDUCTIVE WIRELESS CHARGING W/NFC PAIRING NATURAL GRAIN BROWN WALNUT WOOD TRIM *Note - For third party subscriptions or services, please contact the dealer for more information. * Stylish and fuel efficient. It's the perfect vehicle for keeping your fuel costs down and your driving enjoying up. You've found the one you've been looking for. Your dream car. The 2019 Mercedes-Benz exterior is finished in a breathtaking Polar White, while being complemented by such a gorgeous Macchiato Beige interior. This color combination is stunning and absolutely beautiful! This 2019 Mercedes-Benz A-Class A 220 is proudly offered by Fletcher Jones Imports Las Vegas This Mercedes-Benz includes: BLACK HEADLINER MULTIMEDIA PACKAGE Navigation System SIRIUSXM RADIO HD Radio Satellite Radio BLIND SPOT ASSIST Blind Spot Monitor WHEELS: 17 10-SPOKE (STD) Aluminum Wheels ALUMINUM TRIM W/LINES GARAGE DOOR OPENER Universal Garage Door Opener MOE TIRES (EXTENDED MOBILITY) PREMIUM PACKAGE Keyless Start Hands-Free Liftgate Auto-Dimming Rearview Mirror Power Door Locks Keyless Entry Power Folding Mirrors Remote Trunk Release *Note - For third party subscriptions or services, please contact the dealer for more information. * Stylish and fuel efficient. It's the perfect vehicle for keeping your fuel costs down and your driving enjoying up. The look is unmistakably Mercedes-Benz, the smooth contours and cutting-edge technology of this Mercedes-Benz A-Class A 220 will definitely turn heads. The Mercedes-Benz A-Class A 220 will provide you with everything you have always wanted in a car -- Quality, Reliability, and Character. This outstanding example of a 2019 Mercedes-Benz A-Class A 220 is offered by Fletcher Jones Imports Las Vegas. This Mercedes-Benz includes: SIRIUSXM RADIO HD Radio Satellite Radio BLIND SPOT ASSIST Blind Spot Monitor HEATED FRONT SEATS Heated Front Seat(s) LOWERED COMFORT SUSPENSION NATURAL GRAIN BLACK LINDEN WOOD TRIM HEAD-UP DISPLAY Heads-Up Display GARAGE DOOR OPENER Universal Garage Door Opener WHEELS: 19 AMG® MULTI-SPOKE Tires - Front All-Season Tires - Front Performance Tires - Rear Performance Tires - Rear All-Season TIREFIT MOBILITY KIT AMG® LINE Transmission w/Dual Shift Mode Split Bench Seat Floor Mats Fixed Bench Seat Bucket Seats PREMIUM PACKAGE Keyless Start Hands-Free Liftgate Auto-Dimming Rearview Mirror Power Door Locks Keyless Entry Power Folding Mirrors Remote Trunk Release *Note - For third party subscriptions or services, please contact the dealer for more information. * Why spend more money than you have to? This Mercedes-Benz A-Class will help you keep the extra money you'd normally spend on gas. The Mercedes-Benz A-Class A 220 will provide you with everything you have always wanted in a car -- Quality, Reliability, and Character. Just what you've been looking for. With quality in mind, this vehicle is the perfect addition to take home. This 2019 Mercedes-Benz A-Class A 220 is proudly offered by Fletcher Jones Imports Las Vegas This Mercedes-Benz includes: MULTIMEDIA PACKAGE Navigation System SIRIUSXM RADIO HD Radio Satellite Radio NATURAL GRAIN BLACK LINDEN WOOD TRIM HEAD-UP DISPLAY Heads-Up Display GARAGE DOOR OPENER Universal Garage Door Opener MOE TIRES (EXTENDED MOBILITY) DRIVER ASSISTANCE PACKAGE Adaptive Cruise Control Cruise Control AMG® LINE Transmission w/Dual Shift Mode Split Bench Seat Floor Mats Fixed Bench Seat Bucket Seats PREMIUM PACKAGE Keyless Start Hands-Free Liftgate Auto-Dimming Rearview Mirror Power Door Locks Keyless Entry Power Folding Mirrors Remote Trunk Release WHEELS: 18 AMG® 5-SPOKE W/BLACK ACCENTS Chrome Wheels Tires - Front Performance Aluminum Wheels Steel Wheels Tires - Rear Performance NIGHT PACKAGE *Note - For third party subscriptions or services, please contact the dealer for more information. * Stylish and fuel efficient. It's the perfect vehicle for keeping your fuel costs down and your driving enjoying up. Just what you've been looking for. With quality in mind, this vehicle is the perfect addition to take home. There is no reason why you shouldn't buy this Mercedes-Benz A-Class A 220. It is incomparable for the price and quality. This 2019 Mercedes-Benz A-Class A 220 is proudly offered by Fletcher Jones Imports Las Vegas Everyone hates the gas pump. Skip a few gas stations with this super fuel efficient Mercedes-BenzA-Class. Just what you've been looking for. With quality in mind, this vehicle is the perfect addition to take home. You can finally stop searching... You've found the one you've been looking for. This is about the time when you're saying it is too good to be true, and let us be the one's to tell you, it is absolutely true.